I’m crossing the pond in a couple of weeks, making my first trip away from North America. I grew up near the Mexican border, so traveling into Baja was a regular part of my adolescence and young adulthood. And I made a three-week field trip to Canada when I was in high school. But international travel was different in that pre-9/11 world and things have changed a bit. There are a few more things to think about as I prepare for this trip, and since I plan for it to be the first of many, I have developed a checklist to make sure I don’t miss any important preparations. 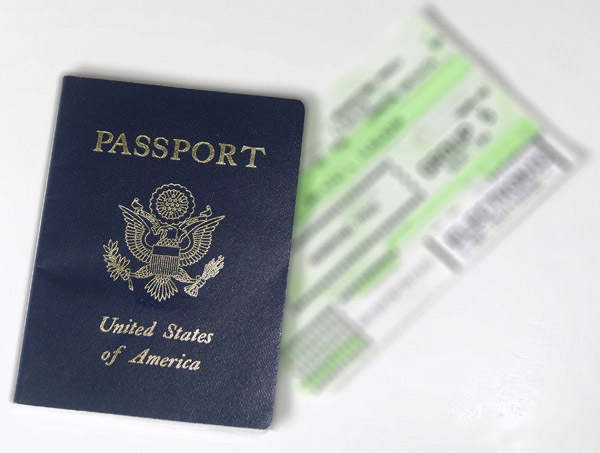 If you don’t have a passport, apply for one well in advance of your trip. Right now it takes an average of six weeks to have a passport issued. Depending on the time of year, that processing time can double—or more. If you already have a passport, check the expiration. Some countries will not allow you in if your passport is within six months of expiration, so do yourself a favor and renew it now if you’re close to the deadline. While spontaneity is good, making sure that you have a place to sleep for the night is also good. I am definitely not a plan-my-trip-to-the-minute kind of person, but I have learned over the years that hotel reservations are a good thing. And whether you’re traveling across the country or across the world, leave a copy of your itinerary with someone at home, just in case something happens and you don’t check in when you should. You may also want to considering enrolling your trip in the state department’s STEP program, where you can receive travel alerts and warnings, and make it easier for you and your friends or family to stay in contact in the event of an overseas emergency. Cell phone service outside of the country is not the same as it is here at home. If you don’t want an outrageous and unpleasant surprise when you get home, find out what kind of out-of-country plans your cell company offers or put yourself in airplane mode and only use it when you have wi-fi access. I am a Verizon user and they offer Europe service for $25/month for one line—and you can purchase it for a month at a time. Other carriers likely have similar plans. In order to avoid having your credit or debit card suspended, notify your bank ahead of time that you will be using your card abroad. Let them know where and when you’re traveling. Otherwise, they may think someone hijacked your account and shut it down for suspicious activity, leaving you with no funds overseas. Yes, you can get it fixed–but why spend all that time on the phone with your bank when you could be out enjoying your vacation? It’s always a good idea to have some cash with you when traveling. Despite our American awesomeness, many countries don’t use American money, so visit your bank before traveling and arrange to convert some cash into the local currency. It will be less expensive to exchange it BEFORE you get there, and again, it will make your trip that much easier. When I was much younger, I could just throw a few things in a bag and be ready to hit the road, but I am learning that trips are often less stressful a mite more planning. The downside of last-minute packing is often discovering you don’t have something you really need and you either have to spend your last few hours running here and there to find everything or hope you can pick it up at your destination. Depending on where you’re traveling, it may not be so easy to run out and pick up forgotten necessities. Making a packing list and prepping before it’s time to leave for the airport will not only help you not forget anything important, it will help you know what size suitcase to take (for what it’s worth, smaller is always better). What have you found to be essential to your travel enjoyment? 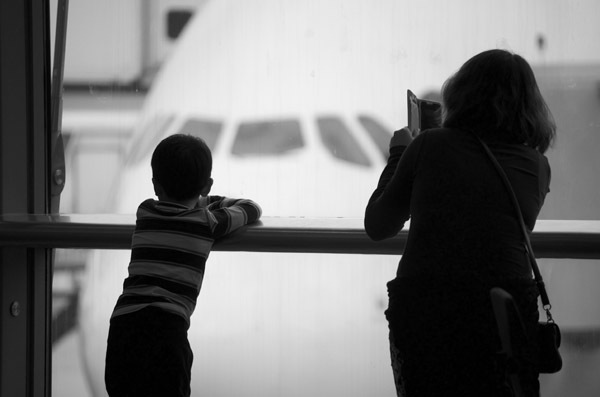 What tips have you learned that make traveling–and prepping for travel–easier and more enjoyable? Share your wisdom in the comment section below.